Story campaign, Garage, and more highlighted. Publisher Modus Games and developer The Balance have released a new trailer for Override: Mech City Brawl introducing the game’s key features. The new video displays in detail the enormous devastation players can unleash playing solo or in online and local multiplayer, as well as a wide range of epic and legendary skins players can earn and equip in the Garage. The Garage offers players the chance to customize their mechs with shiny skins that can be earned and equipped across all mech heroes. These skins vary in rarity and style, from animal stripes to shining metal in every color under the sun. Additionally, players can select from different accessories to make their mech truly one of a kind. Today’s Features Trailer also highlights the brawler’s story campaign that will see players fighting fellow mechs and hordes of grotesque alien invaders through sprawling cityscapes and exotic locales. Thankfully, each mech is armed with a multitude of combat abilities, including a spectacular Ultimate attack that can be activated in especially hairy situations. 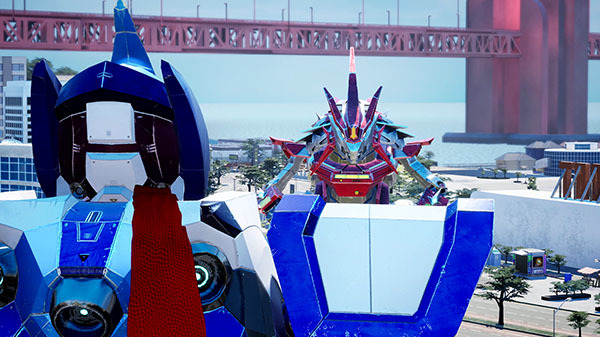 Override: Mech City Brawl is due out for PlayStation 4, Xbox One, and PC on December 4.